We are gearing up to launch our brand new free audio conference service. 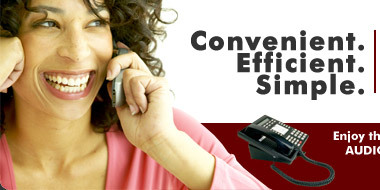 This exciting new service offers completely free audio conferences available from any phone 24/7. Soon, business people and other professionals will be able to activate a conference room, and enjoy all the benefits of using state of the art audio conference services free of charge. What exactly is Audio Conference? What are the benefits of Audio Conference for your business? You can now enjoy free audio conferences! Our free call conference service is the most cost-effective way to get groups of people together in one call. Normally, call conference services charge users a flat monthly fee, or a per minute fee. With free audio conferences, the user pays no charges, except the normal long distance or local rate charge to call the service provider's computer. The national long distance carrier pays the service provider's fees, saving you a fortune. Try Audio Conference for getting in touch with your family and friends! Conference calling has truly come of age. No longer is audio conference calling used only by large organizations or businesses, but it is now commonly used to connect family and friends. Families and friends can get together at any time of the day, and remenisce, share news, and send greetings and well wishes. Audio call conference technology is helping friends and family maintain strong bonds, and stay in touch, no matter where they live.